Artist impression of the Pearl Garden project, launched last September, sold about 70% in a matter of weeks. The Seberang Prai residential property market is facing robust demand in both the landed and high-rise segments. Two key developers in Seberang Prai have lined up for launching, in the first quarter of this year, some 486 units of landed residential properties with an estimated gross sales value of RM156mil to meet the rising needs of those with the disposable income to upgrade their lifestyle. Over the past two years, the investments brought in by multinational corporations such as Ibiden, Honeywell International, National Instruments, St Jude Medical, and First Solar have created an executive class of home seekers. The projects are the second and third phases of Pearl Garden, with a gross sales value of RM71mil, developed by Tambun Indah Development Sdn Bhd and Phase 2 of RM85mil Bukit Mertajam Utama by DNP Land Sdn Bhd. The Pearl Garden, a joint venture project with Mutiara Goodyear Development Bhd, comprises 446 units of double-storey terraced, semi-detached, and bungalow houses on a 67.9-acre land in Simpang Ampat, about 20km from the Penang Bridge. The first phase, launched last September, was about 70% sold (175 units) in a matter of weeks. “Most of our buyers are those who want to own landed property but could not do so on the island. The second and third phases, comprising 271 double-storey terraced and semi-detached houses, was launched mid-February,” says Tambun Indah general manager Teh Theng Theng. The Pearl Garden is a gated and guarded project, with 24-hour security, and comes with a double-storey clubhouse and recreational facilities such as a swimming pool, a gymnasium, jogging track, and a community hall. The selling price for the properties ranged between RM238,000 and RM512,000. “We are also arranging for a special financing package that provides 90% financing and allows purchasers to pay the 10% instalments over a 12-month period. Depending on the size and type of unit, the monthly instalment starts from RM400 per month,” Teh adds. The RM85mil Bukit Mertajam Utama, comprising 215 units of double-storey terraced and semi-detached houses, is located on a 56-acre site in Bukit Mertajam, about 3km from the Penang Bridge. The terraced and semi-detached houses have respective built-up areas of 1,900sq ft and 2,700sq ft priced at RM328,000 and RM468,000. DNP Land (North) general manager K.C. Tan says about 60% of Bukit Mertajam Utama, scheduled for official launch in March, were sold during the soft launch last month. “Landed properties in Seberang Prai, which are priced about 40% lower than landed homes on the island, will always find a strong market in the young executives with a combined household income of over RM6,000,” he says. As for the high-rise condominium market, that too seems to be getting increasingly popular in Seberang Prai, a territory known for its affordable landed residential homes. Fook Tone Huat ... Most mainland buyers look for properties priced 40% below the landed properties on the island. More than 10 years ago, high-rise residential properties were not that sought after, Henry Butcher Malaysia (Seberang Prai) senior manager Fook Tone Huat tells StarBizWeek. “Most of the buyers on the mainland looked for landed homes which were priced about 40% below the landed properties on the island. “About three years ago, high-rise properties in Jalan Raja Uda and Jalan Telaga Air, in Butterworth, started to do well. The original selling price, which started off from about RM160,000 for a unit with over 1,000sq ft in built-up area, has risen over 30% over the past three years to around RM210,000 and RM230,000 today,” he says. The Cassia Resort Condominiums by Island LandCap Properties and the Vista Bay Condominiums by Cendana Realty Sdn Bhd are two such projects launched three years ago in the heart of Butterworth town that has seen such appreciation. For this reason, there are already three high-rise residential projects that will be launched by the middle of this year; Island LandCap’s Pinang Laguna Water Park Condo and Airmas Development’s apartment Telaga Emas by the first quarter of this year and Dahlia Park in mid-2010. The largest of these scheme is the RM160mil Pinang Laguna Water Park Condo, located in Seberang Jaya, comprising about 1,000 units, with over 1,000sq ft in built-up areas, priced from RM180,000 onwards. The Dahlia Park, located near Jalan Bagan Luar, at the heart of Butterworth town, comprises 140 condominium units with built-up areas ranging between 1,307sq ft and 1,726 sq ft. These will be priced from RM190,000 onwards. Dahlia Park is equipped with comprehensive clubhouse facilities. The Apartment Telaga Emas, located at Jalan Telaga Air, Butterworth, comprises 144 units with built-up areas of 1,327 sq ft priced from RM197,000 onwards. The scheme is equipped with amenities such as a swimming pool, sauna and round-the-clock security. “High-rise properties have become popular because of their affordable pricing, and because of the facilities that come with them. In comparison, landed properties, which have been appreciating at about 10% per annum, are now priced over RM300,000 for a double-storey terraced unit with built-up area of 1,600sq ft and a 1,400sq ft land area. “This means that only households, with a combined income of over RM5,000, and who are willing to borrow to the maximum, can take up loans for such housing projects. Landed property prices are expected to go up by another 10% this year,” he says. Oon Weng Boon ... High-rise properties could sell well if they are strategically located. Island LandCap Properties executive chairman Oon Weng Boon says the high-rise properties in Butterworth could sell well if they are strategically located and offer a full range of recreational facilities. “Our Cassia Resort Condominium sold well because it was centrally located in Butterworth town, on Jalan Raja Uda, and had various clubhouse facilities. Furthermore, the pricing of Cassia Resort Condominium which was around RM160,000 then, was affordable for many households with a combined income between RM3,500 and RM4,000,” he says. Oon says the Pinang Laguna Water Park Condo project was the group’s first attempt to infuse theme-park concept with condominium lifestyle living in Seberang Prai. “This adds value to the project, making it more attractive to house buyers, especially those with families. During the soft launch preview last month, we have already received bookings for about 50% of the first phase, comprising 350 condominiums. The second phase is scheduled for launching in the second half of this year,” he says. China, Hong Kong and Singapore's buoyant property markets. AS US gaming giant Las Vegas Sands goes hither and thither in preparation for what it describes as the “most expensive stand-alone integrated resort-property ever built” scheduled in late April this year, all eyes are on the effect on the city state property sector. The opening of the US$5.5bil (RM18.7bil) Marina Bay Sands casino resort complex will come two months after the start of gaming operations at Resorts World Sentosa, a development owned by Malaysia’s Genting Group. Las Vegas Sands says the 963-room hotel, part of the shopping mall and convention centre will also open together with the casino. The second phase of the opening slated for June 23 will include a massive sky garden on top of the development’s three hotels as well as more retailers, it said. Its chairman and chief executive Sheldon Adelson says their dedication to complete the project never wavered despite the challenging economic climate. Construction of the complex – the US gaming firm’s first development in Southeast Asia – had been delayed by materials shortages and financial difficulties faced by subcontractors due to the recent global economic slump. As Asia climbs out of the economic quagmire which has engulfed the world, the property radar in this part of the world have been far more rosy than that of the West. Singapore’s property sector, as with Hong Kong’s and China’s, have piqued quite a bit of interest among Asians themselves and watched with envy in the West. Known as the exotic Far East by the West, property prices in this part of the world have remained excitingly buoyant by contrast, so much so that the Singapore government has recently imposed a levy on people selling residential properties within a year from the date of purchase. The city-state also lowered the loan-to-value limit to 80% from 90% for all housing loans provided by financial institutions. The measures are “aimed at pre-empting the formation of a property bubble,” Adrian Chua, an analyst at DBS Group Holdings Ltd writes in a note. Singapore’s steps come after the island’s private home sales last year were just shy of the 2007 record, helped by the nation’s economic recovery. A total of 14,688 homes were sold last year, compared with the record 14,811 transacted in 2007, according to government data. Private residential prices rose 7.3% in the fourth quarter from the previous three months, extending the biggest rally in 28 years, based on data from the Urban Redevelopment Authority. The government’s property price index surged 15.8% in the third quarter. China’s property market is no less exciting. Having grown by leaps and bounds, it will probably go through a “more meaningful correction” this year because the price gains in 2009 aren’t sustainable, Christopher Lee, corporate ratings director at Standard & Poor’s, says. The outlook for the Chinese market is “neutral” for this year, Bei Fu, an associate director of corporate ratings at S&P, says on a conference call with Lee this week. China’s property prices has surged 9.5% in January, the most in 21 months, as total new loans have surged to 1.39 trillion yuan (US$204bil), more than in the previous three months combined. The China Banking Regulatory Commission told banks last month to “strictly” follow property lending policies. Investors tend to “sit on the sideline” in anticipation of more tightening measures to curb property price gains this year, Lee says. Beijing will scrap some home-purchase incentives after the jump in prices, reducing the scope of a housing sales-tax exemption and enforcing a 40% down-payment requirement for second homes, the capital’s Municipal Commission of Housing and Urban-Rural Development says in a statement this week. The People’s Bank of China raised the reserve requirement by 50 basis points for the second time this year just before Chinese New Year to slow bank lending. The change came into effect this week. The central bank says it wants to gradually normalise monetary conditions from a “crisis mode” after gross domestic product grew 10.7% in the fourth quarter, the fastest pace in two years. The Chinese government will increase supply of subsidised public housing this year to provide affordable accommodation for people with lower incomes, and there will be a “surprise” in the number of available luxury homes by the middle of this year, when projects started one year ago are completed, leading to stronger competition among developers, she says. Over in Hong Kong, developers are optimistic the city’s government will maintain its “benign” stance toward the industry, and that borrowing costs will remain low, sustaining real estate demand. “The government has kept a rather benign stance towards the Hong Kong property sector,” Macquarie Group Ltd analysts led by Chris Cheng says in a research report. “Nothing significantly new was introduced in relation to property” in financial secretary John Tsang’s budget speech earlier in the week. The city has announced that it will raise the stamp duty on homes selling for more than HK$20mil (US$2.57mil) to 4.25 % from 3.75%. The Hong Kong Monetary Authority typically tracks the Fed’s interest rate movements because the city’s currency is pegged to the dollar. The lowest mortgage rates in at least two decades and an influx of overseas capital equivalent to more than a third of Hong Kong’s annual gross domestic product helped fuel a 29% gain in property prices last year. The raised transaction tax on luxury homes, the first increase since 1999, will only affect about 2% of the property market. Of 110,000 Hong Kong residential sales in 2009, about 2,000 sold for more than HK$20mil, according to realty company Midland Holdings Ltd. The need for a high quality culture to be adopted for all construction projects, whether they are public or private structures or facilities, cannot be over emphasised as the people’s safety should be of paramount importance. The fact that there have been a spate of “problem” projects with structural problems or certified unfit for occupancy shows that a conscious quality culture is still grossly missing among some industry players. From faulty infrastructure projects to poorly constructed public buildings and amenities, the list includes the collapse of the Kuala Terengganu stadium roof and the roof of the Kuala Berang express bus and taxi terminal, the RM18mil Batu Burok Aquatic Complex and the RM123mil Sultan Mahmud Airport terminal. Shoddy workmanship and the use of sub-standard building materials have been found to be the major contributor of most of these failed projects. There is also the issue of proper maintenance and whether these public structures are periodically maintained to ensure that they are in tip top condition. Besides the loss of lives like the three schoolchildren attending the 1Malaysia camp in Kuala Dipang who drowned after the suspension bridge they were on collapsed last October, such mishaps will also tarnish the image of the country and the whole industry. It is important to ensure that personals of the governing authorities, including the Public Works Department, are well equipped and properly trained to ensure they keep abreast of latest industry standards and needs to conduct their supervisory role responsibly. Industry practitioners should take it upon themselves to promote a conscious quality culture in all their projects. There are many benefits that can be reaped from having quality construction standards that include significantly reducing the incidents of structural and architectural defects. The adoption of high international standards in our building and construction projects is a good platform for local players to take their developments international. For a start, industry players and the governing authorities should work towards a minimum set of quality standards that need to be adhered to by the building fraternity, including contractors. Although there is a local quality system, the Quality Assessment System in Construction introduced by the Construction Industry Development Board since 2006 to evaluate the quality and workmanship of construction projects in the country, it is not compulsory for the building fraternity to adopt them. The adoption of such standards should not be just to win government contracts but to ensure a strong quality culture prevail among industry practitioners. In Singapore, it is compulsory for all public amenities and government buildings to adhere to the strict guidelines of the Construction Quality Assessment System (Conquas). Its Building and Construction Authority conducts intensive training camps for developers, contractors, and building engineers, to adopt these stringent quality standards in their projects. The fact that there are 47 Malaysian developers and contractors who are adopting Conquas shows that there are local players that have embraced the quality culture seriously. It is important to build on this foundation and cast the net wider to include all the industry players, whether big or small. A poor maintenance culture is also one of the major flaws in our society today that has contributed to the poor state of affairs in many of our buildings and public facilities. To ensure greater durability and sustainability of these facilities, there is a need to promote a world-class maintenance culture among the people and the relevant authorities. There is no point having great buildings or projects if they are not properly maintained. For those who own strata-titled buildings, it is mandatory for them to make monthly contribution to a common maintenance fund to ensure the proper upkeep and maintenance of the common facilities. The maintenance is the responsibility of the joint management body (JMB), of which owners are members. It is the responsibility of owners to pay the maintenance fees. Likewise, the respective local councils and authorities should also ensure that all public facilities are properly maintained to ensure they are safe to the users at all times. ·Deputy news editor Angie Ng believes selflessness is the way to go to promote a caring society. See Hoy Chan Holdings Group (SHC), controlled by the Teo family, is said to be in talks with several foreign hospital operators to jointly develop a medical centre in its highly successful Bandar Utama township in Petaling Jaya, Selangor. "Several international operators have expressed interest in forming a joint venture with SHC to open a medical centre in Bandar Utama. SHC is now talking to three of them," a source told Business Times. The source added that SHC and the foreign companies were looking at possible models for the partnership. It is undecided if the foreign player will take on sole management of the medical centre to be built by SHC or both will jointly manage it, with the foreign partner having a stake in the business. "The medical centre in Bandar Utama could be up and operational within three years of obtaining all the approvals," the source said, adding that regulatory approvals had yet to be sought. Foreign hospital operators with a presence in the country include Singapore's Parkway Holdings and Health Management International (HMI), the US-based Columbia Asia and Austria's Vamed. It is understood that at least one of the players SHC is talking to has no representation here as yet. Industry players said that this operator is world renowned for its medical facilities and expertise, and is particularly successful in the region for medical tourism. When contacted by Business Times, SHC director Datuk Teo Chiang Kok said that talks were "still preliminary". He did not elaborate. In an interview in 2006, Teo had said that the Bandar Utama master plan would include setting up a medical centre and a retirement village. Some 4.86ha near 1Utama's Phase 2 shopping complex has been allocated for this purpose. At that time, Teo had said that the medical centre would offer maternity and paediatric care, while the retirement home would cater for residents in the area. The group's plans for a medical centre were said to have been inspired by Teo's father, Tan Sri Teo Soo Cheng, given his involvement in the Tung Shin Hospital in Jalan Pudu, Kuala Lumpur. In April last year, Prime Minister Datuk Seri Najib Razak announced that the government was lifting the 30 per cent Bumiputera equity rule for 27 service sub-sectors, including health services. However, it is unclear if that includes hospitals and medical centres. The opening of Singapore's two casino resorts is expected to accelerate growth at Nusajaya, with 2012 targeted as the "tipping point" for the Johor project, said UEM Land Holdings Bhd chief. Managing director and chief executive officer Wan Abdullah Wan Ibrahim said Resorts World Sentosa and Marina Bay Sands will help boost the number of visitors to Nusajaya's own indoor theme park and Legoland, placing Johor on the world map. "Visitors to the two resorts are not going to gamble 24/7 (24 hours a day, seven days a week). They will visit Universal Studio and we expect them to come here as we are building Legoland and an indoor theme park. We are happy to see the (Singapore) casinos ready," Wan Abdullah told Business Times after the company's shareholders' meeting in Petaling Jaya, Selangor, yesterday. "For us, anything good that comes up in Singapore will further enhance developments at Nusajaya. Three years ago Nusajaya was a dream, concept and plan. Today it is a reality," he added. 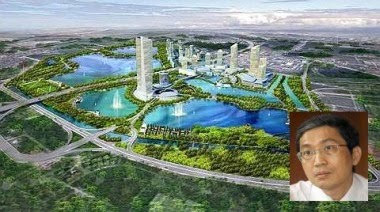 He expects a new wave of development to hit Nusajaya in 2012 as its current on-going projects would have reached their peak. Among the projects due to complete in 2012 are the coastal highway linking Johor Baru, quarters for state government staff and federal government agency complexes at Kota Iskandar, Legoland, as well as an indoor theme park at Puteri Harbour. Others include the 70-bed hospital by Columbia Asia Group, UK's Newcastle University of Medicine, Marlboro College Malaysia, a British independent co-educational boarding school for children between 13 and 18 years old, and the Sri KDU Smart School. UEM Land is the developer of Nusajaya's main features such as the state administration complexes, Puteri Harbour, the Southern Industrial and Logistics Cluster (SILC), a healthpark and residences. Wan Abdullah said there will be a good mix of new medium, high-end and luxury homes in Nusajaya, and the entry of international bio-technology companies in SILC going forward. 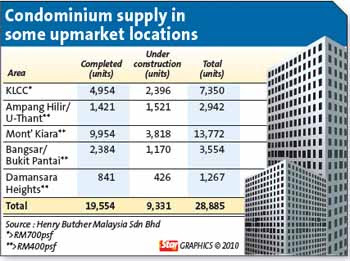 UEM Land, 77.14 per cent-controlled by UEM Group Bhd, expects to do better this year, attributed by existing products and the completion of the current developments, Wan Abdullah said. SINGAPORE: City Developments , Southeast Asia’s second-largest property firm, posted yesterday a 76.7 per cent rise in fourth-quarter net profit, helped by strong Singapore residential property prices. CityDev reported a net profit of S$176.7 million (S$1 = RM2.42) for the three month ended December, up from S$100 million a year ago. The earnings beat the S$131 million consensus estimate from Thomson Reuters. PROPERTY developer Mah Sing Group Bhd is projecting RM1 billion in sales this year based on its strong brand, innovative marketing strategies and its ability to offer quality properties in prime locations. The company believes the property market is improving, reflected by stronger sales, better consumer sentiment and business conditions as well as rising household loan applications and approvals. "Thus, the group is confident that we will be able to ride on these brighter prospects and continue to perform well into 2010," it said in a statement. Mah Sing will continue to aggressively introduce its property projects this year, and among those slated to be launched are a commercial project in Petaling Jaya, One Legenda in Cheras, Garden Residence in Cyberjaya, Perdana Residence 2 in Selayang and Icon Residence@Mont' Kiara. It also plans to launch more phases in existing projects like Hijauan Residence in Cheras, Aman Perdana in Meru-Shah Alam and Sri Pulai Perdana 2 as well as Sierra Perdana in Johor Baru. It also targets to launch its first overseas project in Wujin, China, this year. Mah Sing posted a 1.2 per cent increase in net profit to RM94.3 million for its financial year ended December 31 2009, attributed to its existing projects. Revenue for the financial year rose 7.7 per cent to RM701.6 million against RM651.6 million before. An artist’s impression of water villas at The Light Collection project by IJM Land. GEORGE TOWN: Four major Kuala Lumpur-based developers plan to launch some RM1.16bil worth of luxurious residential properties in Penang this year, in view of a recovering domestic economy and continuing demand for high-end homes. The properties are IJM Land Bhd’s RM422mil The Light Collection I & II, SP Setia Bhd’s RM60mil Brooks Residences, RM230mil Reflections condominium and semi-detached schemes for its Setia Pearl Island project, E&O Property Development Bhd’s RM380mil first phase of the Quayside project, and Mah Sing Holdings Bhd’s RM71mil first phase of the Legenda@Southbay. Datuk Soam Heng Choon says residential properties in the mid to h igh-end categorie s will be the main growth drivers this year. The RM165mil Light Collection I, scheduled for launch in the second quarter on a 7-acre site next to the Penang Bridge, comprises 152 condominiums and 24 water villas, priced at RM650 per sq ft and RM800 per sq ft respectively. The built-up areas for the condominiums range from 1,375 to 1,580 sq ft while the water villas have a built-up area of 3,169 sq ft. The RM257mil Light Collection II, scheduled for launching on a 8.58-acre site in the second half of 2010, comprises 297 condominiums with built-up areas ranging from 516 to 3,528 sq ft, priced at about RM700 per sq ft onwards. IJM Land managing director Datuk Soam Heng Choon said residential properties in the mid to high-end categories had proven to be good hedging instruments and would serve as the main growth driver for the property sector this year. He said IJM Land also planned to launch in May its RM123mil Maritime Square, which comprises 244 serviced suites and 67 shop and office units. SP Setia Property (North) general manager S. Rajoo said the RM150mil Reflections condominium scheme and the 54 semi-detached homes for the Setia Pearl Island project in Sungai Ara would be launched in the first and second quarter respectively. “The Reflections comprises 317 condominiums with built-up areas of 1,077 to 1,512 sq ft and priced from RM378,800 onwards. “The Brooks Residences project, located in the prime residential vicinity of Jesselton Road, is expected to be launched in the final quarter of 2010,” he said. Rajoo said the group planned to introduce an innovative financing package for its new projects in Penang soon. “The special financing package is for the new launch of semi-detached homes in the Setia Pearl Island scheme and a new project, Setia Ara, on a 28-acre site in Sungai Ara,” he said. Mah Sing deputy chief operating officer Teh Heng Chong said the first phase of the RM284mil Legenda@Southbay project would offer 19 bungalows with an estimated gross sales value of RM71mil. Comprising a total 76 bungalows, the Legenda@Southbay is a gated and guarded project that comes with a clubhouse and is equipped with features such as personal pool, smart-home features, solar hot water system and rain water-harvesting system. “We also plan to launch the first phase of the RM911mil Southbay City commercial project in Batu Maung this year. “The Southbay City is an integrated commercial hub comprising serviced residences, commercial lots, lifestyle mall, and four and five-star hotels,” Teh said. Eastern & Oriental Bhd executive director Eric Chan Kok Leong said the company’s property arm E&O Property would launch the first phase of the RM1.8bil Quayside luxurious condominium scheme for its sea-fronting Seri Tanjung Pinang project in Tanjung Tokong early next month. “The first phase is a 26-storey block, comprising 298 units,” he said. Quayside, resembling sea-fronting home projects in Sentosa, and Sovereign Island in Gold Coast, comprises seven high and low-rise blocks surrounded by 4.5 acres of water park. The Quayside is located within the first phase of the 908-acre Seri Tanjung Pinang housing project. The Sunway Pyramid Shopping Mall in Selangor is likely to overtake the Mid Valley Megamall in Kuala Lumpur as the country's biggest mall by size within the next five years as it adds two new phases to the mall. Called "SP3" and "SP4", the two phases form part of Sunway City Bhd's (SunCity) planned development on a 2.35ha open car park land adjacent to the existing Sunway Pyramid and the Sunway Lagoon Theme Park. Currently, Sunway Pyramid has a total gross floor area of 4.5 million sq ft, with a net lettable area (NLA) of 1.7 million sq ft.
Chief executive officer of Sunway Group of Shopping Malls, H.C. Chan, said SP3 will see 500,000 sq ft added to the gross floor area of the mall. He did not say what the NLA will be, but typically 65 per cent to 70 per cent of a mall's gross floor area makes up the NLA. "SP3 and SP4 have been planned and should be ready within the next five years ... it is a sizeable addition," Chan told Business Times in an interview. He said timing of their launch would depend on economic conditions. Phase SP3 of Sunway Pyramid features a small-office-home-office (SOHO) suites development to be built on 0.73ha. While Chan declined to reveal details about Phase SP4 of expansion, it is understood that it will include retail, office blocks and residential units on 1.62ha. "Integration and physical connection is our first priority," Chan said of the mall. The two new phases will be linked to the existing mall. "We are building into the future, the mall is already big. So, we have to think of niche and innovative ways to attract consumers," Chan said of the concept the mall may have. The new project will also increase the number of parking bays in the mall, hotel and theme park area by 2,000 to 9,500. Today, Sunway Pyramid's larger rivals include the Mid Valley Megamall and the Gardens with a combined NLA of 2.5 million sq ft and 1 Utama Shopping Centre in Petaling Jaya at 1.85 million sq ft.
Its smaller rivals are One Borneo in Kota Kinabalu with a NLA of 1.5 million sq ft and Pavilion Kuala Lumpur at 1.37 million sq ft. Suria KLCC together with its upcoming space will have some 1.18 million sq ft of NLA. Apart from Sunway Pyramid, SunCity also manages Sunway Carnival in Seberang Prai, Penang and Sunway Giza in Kota Damansara, Selangor. Mah Sing Group Bhd, a Malaysian developer, may gear up to build a RM1 billion war chest for acquiring land to capitalise on an expected rebound in the Malaysian property market, group managing director Leong Hoy Kum said in a statement today. “We believe that developers like us with sufficient cash and a healthy balance sheet will continue to grow stronger,” Leong said, in a statement accompanying the company’s fourth-quarter results. Mah Sing had RM400 million in cash and zero net gearing at the end of December. “Should we gear up to 0.5 times, we can build a war chest of approximately 1 billion ringgit to purchase good prime land that suits our business model,” Leong said in the statement. Al-Rajhi Capital, the investment unit of Al-Rajhi Bank, and Arcapita Bank bought a warehouse in Riyadh as they set up a US$500 million property fund to seek investments in the Persian Gulf. The ARC Real Estate Income fund will invest in warehouses, healthcare centers and education-related assets in Saudi Arabia and other Persian Gulf countries, the two companies said in an e-mailed statement today. Savola Al Azizia United Co, Saudi Arabia’s second-largest food producer, announced the sale of the warehouse in Riyadh for US$79.7 million in January. Sun Hung Kai Properties Ltd sold a batch of 900 homes in Hong Kong for HK$4.2 billion (US$540 million) at a new development over the weekend amid crowds of thousands, fueling speculation the city’s housing market is overheating. The apartments at the Yoho Midtown apartment complex in Yuen Long sold for an average HK$5,400 per square foot, Amy Teo, project director at the world’s biggest property developer by market value, said in an interview. That compares with an average HK$3,000 per square foot for new homes in the area a year ago, according to Wong Leung-sing, an associate director at Centaline Property Agency Ltd.
Hong Kong’s home prices surged 29 percent in 2009 as low interest rates and an increase in buying by mainland Chinese stoked demand. ONE Asia Property Group, the exclusive marketing agent for the RM72 million "Asia Hills" bungalow project in Bayan Baru, Penang, expects that all 50 units on offer would be snapped up by the first quarter of this year. Its confidence stems from the shortage of landed property projects on the island. "Developers are now returning to high-rise development projects since it is no longer viable to build landed properties in prime locations where land prices have increased by 50 per cent over the past few years," One Asia Property Group's chief operating officer Lim Ewe Tatt told Business Times. He cited a plan by the state authorities to raise the density for property developments in certain parts of Penang as one likely reasons that there will be a decreasing supply of landed properties on the island. Ahead of its launch today, a total of 32 Asia Hills bungalow units have been sold. The units, which are priced from RM1.5 million to RM2.2 million each, are sprawled over 2.24ha along the upmarket Bukit Jambul residential enclave. 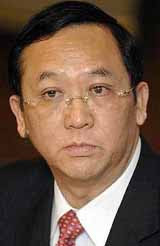 Lim said 80 per cent of the buyers live in Penang and the remaining 20 per cent are Penangites now residing overseas. "The locals are made up of industrialists and businessmen who work in the Bayan Lepas area or in Seberang Prai," he added. The gated Asia Hills project is located near the Penang International Airport and Penang Bridge. Among the features of the development are a cascading waterfall into a swimming pool, concrete imprinted roadways, round-the-clock community closed circuit television monitoring and a guardhouse at its entrance. On how RM1 million properties such as Asia Hills remain sellable to investors, Lim said: "A project of this nature would have appeal to those wanting to upgrade their property investments." "Those who bought their properties for RM400,000 have probably seen their units appreciate and are now worth between RM600,000 and RM700,000, so they simply need to top up on their new purchases." Since its inception last year, One Asia Property Group in Penang has been involved in marketing three property developments. Early this year, the company represented a public-listed property developer in selling off en-bloc retail units worth RM40 million. SP Setia Bhd (SPSB) remains the leading property developer in Johor Baru, followed by KSL Holding and the Mah Sing Group, said MIDF Research House. However, local Johorean developers are still important, given their present strategic landbank holdings, it said. MIDF also said Johor contributes up to 50 per cent of SPSB's revenue. "The development of SP Setia's high-end products with higher profit margins, especially its Setia Tropika and township development of Setia Eco Park, will continue to be its major earnings contributor," it said in its research note today. Apart from the location and well-placed infrastructure, the premium pricing by SPSB is justified with the inclusion of new features such as lifestyle amenities, reflection ponds and a central gated system. By remaining the southern region market leader, MIDF reaffirms its "neutral" call for SPSB with an unchanged target price of RM3.00. GEORGE TOWN: Property developers are optimistic that there will be growth in the local sector despite the cooling off of the broader regional market. This is based on the Government’s projection of a 3.2% gross domestic product (GDP) growth this year, the brisk sales of high-end properties in Kuala Lumpur and Penang in 2009 and the fact that prices of Malaysian properties are still affordable to investors. Real Estate and Housing Developers Association (Penang) chairman Datuk Jerry Chan said the prices of Malaysian homes, having appreciated 5% to 10% annually, was still affordable. “The prices, with room to appreciate further, are still attractive to foreign buyers wanting affordable holiday homes and those with the disposable income to upgrade their properties,” he said. Chan said given the high cost of land in Penang and the increase in building material prices, property values in the state were likely to rise by 5% to 10% this year. “To build a 1,000-sq-ft apartment on the island will cost RM350,000 to RM380,000, taking into consideration the land and construction costs. “This means a 1,000-sq-ft apartment will have to be priced close to RM500,000 to generate profit,” he said. 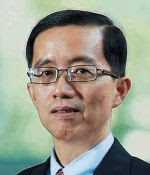 Meanwhile, IJM Land Bhd managing director Datuk Soam Heng Choon expects the recovery of the local property sector in the second half of 2009 to resume into 2010. “There is a lot of optimism among local investors as the stock market is on the rebound and good liquidity in the market augurs well for the property sector. “The take-up rate should remain steady with more first-time homebuyers coming into the market while the demand for high-end properties should be good with a ready pool of upgraders and investors. “Prices should remain stable with reasonable appreciation, given that speculative buying is well under control,” he said. Mah Sing Holdings Bhd deputy chief operating officer Teh Heng Chong said landed property prices in prime locations in Penang, Klang Valley and Johor Baru would still hold up this year. Teh said the demand for properties in such locations would come from those with the buying power who preferred homes in a secured environment. “That is why our recent previews of high-end projects, such as the RM209mil Perdana Residence 2 in Selayang and RM690mil Garden Residence in Cyberjaya, attracted large crowds,” he said. Perdana Residence 2 and Garden Residence Resort Homes are both super-linked houses priced from RM828,000 and RM738,800 respectively. “For Perdana Residence, we have potential buyers indicating they will take up 162 units while for Garden Residence Resort Homes, there are people expressing interest to buy 200 units,” he added. Teh said the group’s main property launches in the Klang Valley this year would be iParc in Bukit Jelutong, Garden Villas in Hijauan Residence, Garden Residence in Cyberjaya, and Perdana Residence 2 in Selayang. Mah Sing also plans to launch more phases this year in its existing projects like Hijauan Residence in Cheras, Aman Perdana in Meru-Shah Alam, StarParc Point in Setapak, as well as Sri Pulai Perdana and Sierra Perdana in Johor Baru. SP Setia Bhd property division (north) general manager S. Rajoo said there was still room for property prices in the country to appreciate, unlike in some other neighbouring countries where prices had stagnated. “The drivers of property demand in the country comes from first-time buyers, those who can afford to upgrade their lifestyle, and investors from Indonesia and Singapore. “And with land scarcity being a concern on Penang island, buyers would generally jump at the chance of owning a property in the location of their choice,” Rajoo said. Eastern & Oriental Bhd executive director Eric Chan Kok Leong said the local property sector looked promising this year, with demand expected to pick up. He said the recovering economy was projected to improve the overall market sentiment, boosted by the attractive mortgage rates which were expected to remain accommodative, given the ample liquidity in the banking system. “From a broader perspective, investors, anticipating inflation to follow the economic recovery, may decide to hedge their positions by investing in property. “For us, we have seen a steady take up for our properties as 2009 drew to a close and we are confident of a better performance this year,” he said. A new wave of development is set to take place at Mines Resort City, the country's first resort development, located at Seri Kembangan, Selangor. Country Heights Holdings Bhd (CHHB), the project developer controlled by Tan Sri Lee Kim Yew wants to develop serviced residences and an area for entertainment, featuring bars, restaurants and cafes for over RM500 million. According to Golden Horses Development Bhd executive director Dianna Lee, the 600ha Mines, which is 90 per cent developed, has pockets of land for new products. 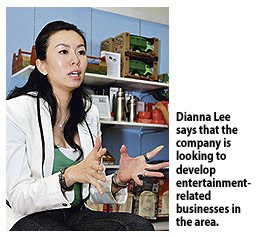 "We are looking at entertainment-related businesses in particular. Since we are not in that field, we will call on operators whom we think would be keen to set up shop there. We want to generate new income for CHHB," she told Business Times in an interview recently. Once the world's largest open- cast tin mine, the government had in March 1988 alienated the land to CHHB, in which Lee owns a 48.1 per cent stake, for RM50 million, for recreational and tourist-related developments. The Mines is now home to Palace of the Golden Horses, Mines Wellness Hotel, which is the city's only beach resort, Mines Waterfront Business Park, Mines Exhibition and Convention Centre with a capacity for up to 15,000 people, Mines Wonderland, Mines Resort and Golf Club, and Mines Shopping Fair (now owned by CapitaLand). Other properties include Mines2, which is an ongoing development by CHHB featuring office buildings and a shopping mall, and The Heritage, a project by Clearwater Group. Clearwater is controlled by Dian Lee, the eldest daughter of the senior Lee. It is constructing five blocks of serviced residences, semi-detached homes and bungalows. Meanwhile, Lee said the Mines Waterfront Business Park, which has four towers, is undergoing an expansion to add four new blocks for more than RM150 million. "The four blocks are fully tenanted and we have enquiries from other companies who want to operate from here. So we are quite confident the take-up for the new buildings will be good," she added. The existing four blocks are being leased at RM6.60 per sq ft.
Sime Darby Property Bhd, the property arm of Sime Darby Bhd, is building its investment portfolio as it mulls setting up a property trust with assets worth more than RM2 billion, in two to three years. It also wants to grow its rental income, which now contributes some 10 per cent to its bottom line, group managing director Datuk Tengku Putra Badlishah said. "Property development is very cyclical while asset management provides regular income and we want to grow that. "We have assets that give us good rental but more is better. We are building three towers in Ara Damansara and have a few more coming up in the Klang Valley," Tengku Putra Badlishah said. With an interview with Business Times recently, Tengku Putra Badlishah said the company has several assets suitable for a real estate investment trust (REIT). "We have reached there as far as a REIT is concerned but we want to set a target. We will launch the REIT if we think it makes sense to do one. For now, we don't require any fund raising," he said. Sime Property may buy or build new properties in Malaysia, Australia, China, Indonesia and Vietnam. It will ride on the success of its parent which operates in over 20 countries. Sime Property's assets, including its 14,800ha of land in the greater Klang Valley, are worth RM4 billion. The company has several wholly-owned assets under management. They include Sime Darby Pavilion, Kompleks Sime Darby and Wisma Guthrie in the Klang Valley, as well as Performance Centre, Sime Darby Centre, Sime Darby Enterprise and Vantage Automotive Centre in Singapore. Its hospitality assets are Sime Darby Convention Centre and Genting View Resort in Malaysia, Darby Park Executive Suite in Singapore, Randong Orange Court in Vietnam, as well as three resorts in Australia which are Quest Margaret River, Quest Subiaco and Karri Valley. Sime Property's award-winning leisure properties include the Kuala Lumpur Golf & Country Club and Impian Golf & Country Club in Kajang. "All these properties are doing well with most of them yiel-ding an average 7 to 8 per cent," Tengku Putra Badlishah said. There is an oft-quoted line: what goes up, must come down. With the anticipated recovery in the property sector, the focus now turns to the condominium market. Over the last decade or so, this segment has increasingly become a very big sub-segment of the property market. The overall perception today is that there is a general oversupply of condominiums and serviced apartments. Because of this overhang of more than 90%, the market is expected to be rather challenging this year. According to the National Property Information Centre (Napic), in the last 24 months the oversupply exceeded 90% for both the luxury and non-luxury category. This is significant when compared with other sub-segments of the property market, namely detached units (zero overhang), semi-detached (1%) and terraced housing (3%). Henry Butcher Marketing Sdn Bhd chief operating officer Tang Chee Meng says if one were to look at the stock of residential properties coming onstream, the bulk in Penang, Selangor and Kuala Lumpur are condominiums. Because land is scarce, developers are trying to maximise land use. 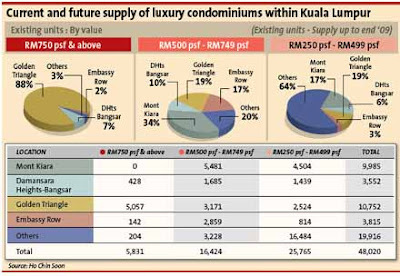 In a recent talk on the luxury condominium market, he says his main concern is the oversupply in KLCC and Mont’Kiara. Tang is focusing on the luxury segment of RM700 per sq ft and above. He says there are difficulties in renting out the larger units because there is a scarcity of expatriates. The number of skilled, trained and professional foreigners entering the country has been dwindling since early last year. Although the situation may reverse, for the next year or so this seems unlikely. There are other issues haunting this segment. The recent return of the real property gains tax (RPGT) and a possible future increases have also resulted in wary resignation. Incidentally, sales of luxury condominiums were boosted by the suspension of RPGT in 2006. Besides the RPGT, the possible rise in interest rate is another cause for potential buyers to be more circumspect. At the global level, the weak and uncertain economic situation has also lowered the level of interest among foreign investors. “There are more attractive investment options offered by overseas properties where prices have dropped more significantly and currency exchange rates have become more favourable,” says Tang. 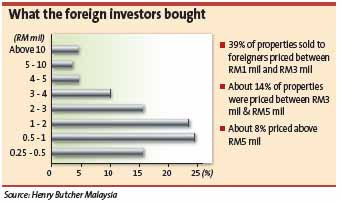 He says although some have reported that up to 40% of their units have been sold to foreigners, the percentage of Malaysia’s properties bought by professional foreigners is actually less than 3%, taking into consideration the middle and high-end category. “Some of them have been living here for many years. They are not speculators or investors. We are not seeing foreign investors coming back in a big way. Most of the buying is done by locals at the moment and they go for smaller units so the large units are difficult to sell. They also prefer to buy units that come with tenants,” he says. He says the completion of several new projects in the KLCC area has also put further pressure on occupancy and rental rates. There are luxury condominiums in other locations like Bangsar, U-Thant and Damansara Heights but they do not boast such massive numbers. 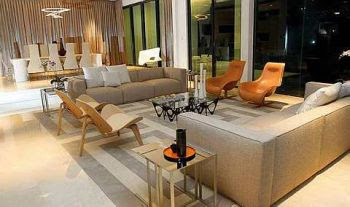 Tang, therefore, expects the market in Bangsar and Damansara Heights to recover fast. Giving an overall picture of the situation around the KLCC and Mont’Kiara area, Elvin Fernandez, managing director of Khong & Jaafar group of companies, says the KLCC and Mont’Kiara condo market is high-end that appeals to modern singles or households that prefer city centre living that one may buy to stay or to invest in. City centre living is a growing long-term trend as opposed to the suburban living. Notwithstanding that broad trend, the micro factors insofar as Kuala Lumpur’s high-end condo is concerned, the financial crisis has rocked this market quite a bit. “Although many believe the global crisis is behind us, equally as many believe the issues and problems that caused and came with the crisis will continue to impact us as we go forward. “City centre condos are presently pressured by low rental yields of below 5% net. That is not sufficiently attractive as it ought to be more than 5% to commensurate with long term and sustainable risks in the hierarchy of risks within and outside the property market,” he says. Suburban condominiums, on the other hand, are higher density substitutes for landed properties. Landed properties are preferred and the low initial net yields reflect this, but with the scarcity of land in suburban areas, particularly just outside the city centre areas, higher density housing is an increasingly acceptable substitute. The pricing and returns of suburban condos will follow the substitute landed except that a slightly higher risk will prevail and this will translate to a higher expected net yield.Higher yield also means a lower unit value. While net yields for landed houses in prime locations may be 2% to 3% net at present (they ought to be moving to higher numbers going forward) the long-term sustainable net yield for suburban condos should rightly be about 6% net and above. Taking the cue from the current market conditions, over at Mont’Kiara, Sunrise Bhd being the biggest player there, says it will not be giving emphasis to large units of 2,000 sq ft and above. Incidentally, these two locations – KLCC and Mont’Kiara – have come under scrutiny because of their sheer numbers which go into several thousands. “There is a shift in the expatriate population and this will affect the property market. The average occupancy is 75% in Mont’Kiara. Now it takes about two years to fill a condo; last time, we could have filled it up faster. Our buyers have become residents themselves. If you cannot get RM15K a month, why buy a RM3mil unit? The guy who buys a RM3mil unit is not renting it. He is buying to stay,” he adds. At its peak, owners have reported exuberant yields of double-digit with 9% being on the conservative side. Today, the yield has dropped to about 5%. Known as a one-product, one-location developer, Tong says the company will be going into different locations offering different projects from now on. It recently signed a joint venture with the Sime Darby group to go into commercial development in Bukit Jelutong, Shah Alam. The company has secured more than 50% bookings, valued at about RM500mil, when it launched condominium project MK 28 in December last year. The average selling price of RM785 psf was also higher than expected. Tong says the company will continue to develop MK 20 and 22, both condominiums, in that area later on. S. K. Brothers Realty (M) Sdn Bhd general manager Chan Ai Cheng says Mont’Kiara is very developed. The appeal here is the international schools. In light of the number of completed projects of late, she is aware of unit owners in certain projects there who are facing challenges in securing tenants and had to reduce rentals after the units remained untenanted for close to a year. “Generally, it would seem like supply outweighing demand. However, not all units are facing the same challenge,” she says. The U-Thant area will have its niche appeal and following while KLCC properties will tend to be more speculative as they attract not only locals but foreigners as well, although, for the time being, the foreign market has dried up. On the other hand, the Petaling Jaya condominium market appeals more to locals and this will continue to be mainly a family-based, owner-occupier market. “PJ properties are seen to be resilient because of strong local demand. Some projects are thriving and are in hot demand while places like Pavillion Residences keep raising prices. Selected established condominiums like Hampshire Residence remain well occupied,” she says. The Selangor Dredging group, which recently launched the second phase of Five Stones, has an overall take-up rate of 66% for the 192 units in Block D and E. Over at Damansara Perdana, if there is no issue with leasehold, Chan says it is possible to get units at attractive prices and there are many options to choose from. As more projects enter the market, developers will have to keep improving. We are already seeing this in Ara Hills, by Sime UEP group, which have provided a high-voltage perimeter fencing as an added safety feature, she says. The local high-end residential property segment seems to be making quite a comeback, with developers eagerly launching their projects and some already raking in quick sales. Last month, Urban Hallmark Properties Sdn Bhd (UHP) previewed its Zephyr Point on Basong in Damansara Heights, a niche high-end residential development comprising just seven units – three penthouses and four villas. The three-level villas have built-ups ranging from 8,000 sq ft to 10,000 sq ft while the three penthouses sized from 10,000 sq ft to 12,000 sq ft are spread on a single level. The project is expected to be launched between April and May, with the final purchase price of the homes to be determined then. However, with an indicative pricing of RM1,200 psf, each unit is expected to fetch a cool RM10mil onwards. UHP managing director Datuk Jeffrey Ng says as the company was targeting high net worth individuals and corporations, price would not be an issue. “The main issue here is whether they perceive the purchase is a value buy at this point in time and whether they are convinced that the property will enjoy capital appreciation in the future. “Undoubtedly there will be demand for the super high end properties due to scarcity in prime residential locations,” he tells StarBizWeek in an e-mail. Ng says the high net individuals it was targeting comprised local upper class Malaysian buyers from surrounding locations or even expatriates. Ng says UHP was also in the process of appointing foreign real estate consultants to target our local expats who plan to return to Malaysia soon. The Zephyr Point homes come with low emission laminated/ tempered glazing glass (for areas facing west only); the use of heavy duty commercial grade aluminium windows and full height sliding doors; salt water infinity pool; salt water spas (in the Villas) and a fully equipped gymnasium. The homes are also wi-fi ready, have fully ducted air-conditioning and come with a private lock-up garage as well as a drivers waiting lounge. Each unit comes with a private home office sized between 300 sq ft and 500 sq ft, located on a special dedicated floor known as Breezeway. The Breezeway also hosts the residents’ function lounge and entertainment foyer, overlooking a fully equipped gym and infinity pool. Given the super high price of the homes, one still has to beg the question as to whether people will still buy – given that the world is still recovering from a global economic turmoil. Ho Chin Soon Research Sdn Bhd director Ho Chin Soon says there would always be purchasers for super-niche projects. Ho says it was more than likely that the purchasers would buy the properties for themselves rather than rent them out. Knight Frank Malaysia executive director Sarkunan Subramaniam concurs that there would always be purchasers for niche, high-end products. Sarkunan also said chances of the homes being quickly snapped up were also dependent on whether the project was by a reputable developer. 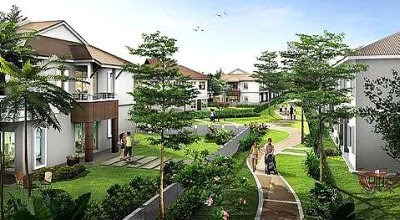 Another high-end development that has seen promising take-ups is Planet Uno Sdn Bhd’s Seputeh Gardens, which will comprise 42 units of bungalows are scheduled for completion before the end 2011. Priced from RM4.1mil to RM6.8mil, Seputeh Gardens managing director Liew Tze Yong says more than half of the homes were pre-sold even before their launch on Jan 16. “Out of the total 42 units, 33 units were sold on the second day of the launch,” he says. The homes are targeted at professionals, chief executive officers, and business owners, says Liew. Each of the units has seven to nine rooms, including a study and a maid’s room. All bedrooms also come with attached bathrooms. Each home also comes with two kitchens and a laundry area. The low-density homes come with spacious gross built-up areas ranging from 6,038 sq ft to 8,878 sq ft and land areas ranging from 4,500 sq ft to 8,200 sq ft.
Seputeh Gardens is situated at the intersection of major highways namely the Federal Highway, the New Pantai Highway, KL-Seremban Highway and also the East-West Link. The company, which is best known for its Gita Bayu development, is also studying the possibility of other high-end, niche residential projects and potential joint ventures. Competition among countries and corporations in various parts of the world is set to pick up steam in the bid to power stronger growth after the dreary past two years. From Singapore to China and Dubai, new iconic projects are being added to drive higher value add to their economy. Singapore’s two integrated resorts – Resorts World Sentosa and Marina Bay Sands – are set to make big waves and take a big bite of the lucrative gambling and tourism market. Genting Bhd’s Resorts World Sentosa will open its casino to the public tomorrow in time to capture the holiday crowd over the Lunar New Year holidays. Universal Studios Singapore will open to the public in early March. The Marina Bay Sands by Las Vegas Sands Corp has targeted for an April opening. Malaysia has also targeted at the services-related sector to steer its economy up a few notches. But to date there are still no specific projects that have been drawn up to promote higher growth in the services sector. It is about time to do some serious thinking and get the projects moving if it is to meet its high-income and economic growth aspirations for the people. That will need a lot of thinking out of the box and not just leveraging on the existing assets and resources. Tourism is certainly one of the most lucrative and high potential growth sectors for the country but there is a need for newer products and destinations to be introduced. We can perhaps look at some interesting arts and lifestyle centres that promote Malaysian arts pieces, handicraft, performances, and culinary delights. To be successful, these places should have the magnetism to awe visitors with their charismatic charm, unique design and ambience. Having more iconic landmarks like the Petronas Twin Towers will also be able to do wonders for the city’s landscape and attract more visitors. Most importantly, these projects should be functional and can add value to the people. There is quite a long list of such places and projects dotting various parts of the world today. Most of them are steeped in history while a number of them are newly built structures. Quite a number of these buildings are among the world’s tallest – Taipei 101 in Taiwan, Harmony Tower Shanghai and our own Petronas Twin Towers. The current world record holder is Dubai’s Burj Khalifa at 160 storeys high. But not all are skyscrapers. Sydney is well known worldwide for its Opera House, and Harbour Bridge. Some are just simple buildings within a unique environment like Shanghai’s popular tourist landmark, Xindianti that used to be an old community neighbourhood that has been given a new lease of life. In fact, some parts of Malaysian cities including Kuala Lumpur, Petaling Jaya and Penang have grown quite dreary and old. They certainly can do with some revitalisation and a new lease of life. With effort and creativity, they can assume multiple uses during their life span. Old buildings can be remodelled and put to new uses. There are many old buildings that are either government or private owned that have been left deserted after the tenants moved out. Rather than let them languish and degenerate, these old buildings should be given new lease of life or be redeveloped to add value to them. If properly planned and executed, they can generate many new economic activities and revitalise the older parts of the cities. Many of the buildings have been built centuries ago and have survived a long legacy and history. They provide an invaluable insight into the rich culture and practices of the people during those early days. It is important to have well thought out restoration plans for them to capture their past glory and turn them into viable places of interest that blend well with the present environment. Deputy news editor Angie Ng appreciates the legacy of many of the old buildings in our cities and hope we may soon have our own Xindianti-equivalent to showcase to the world. SUNWAY Holdings Bhd’s construction outfit, Sunway Construction Sdn Bhd, has won a RM21.5 million contract from Sunway City Bhd to build 100 units of 2-storey cluster homes and a TNB sub-station at Seksyen U10 in Shah Alam, Selangor. In a filing to Bursa Malaysia yesterday, Sunway said the project, which is expected to be done by August 1 2011, will start contributing to earnings from this year. 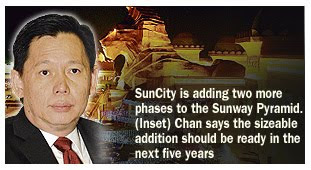 The project is a related party transaction as Tan Sri Dr Cheah Fook Ling is a director and major shareholder of Sunway and SunCity. From left: Tuan Hj Zaharuddin Saidon, Chief Executive Officer, TH Properties, Harish Davanam, MD Davanam Constructions Sdn Bhd, YB Datuk Mukhriz Mahathir, Deputy Minister, Ministry of International trade & Industry, Faizan Khan, MD Ascenteus Holdings Sdn Bhd and Sukhdeep Singh, Chief Operating Officer, GHM Ltd.
Ascenteus Holdings Sdn Bhd has joined hands with Indian developer Davanam Constructions to build an iconic GHM Country Club surrounded by luxury villas on 200 acres of natural environment in Bandar Enstek, Nilai. The project envisioned by GHM Chairman Adrian Zecha will comprise a GHM- operated Country Club, surrounded by ultra low density, luxury villas. The management and branding agreement was signed between the co developers- Ascenteus Holdings/ Davanam Constructions; and GHM, at a special signing ceremony yesterday, witnessed by Datuk Mukhriz Mahathir, Deputy Minister in the Ministry of International Trade and Industry. Earlier, the Joint Venture Development Agreement was signed between TH Properties Sdn Bhd, Ascenteus Holdings Sdn Bhd and Davanam Constructions Sdn Bhd in July 2009. GHM (General Hotels Management), a market leader in stylish luxury hotel development and management, and member of the exclusive ‘Leading Hotels of the World’ has an unrivalled reputation for conceptualising, developing and operating exclusive and stylish hotels and resorts worldwide. GHM’s portfolio of properties includes The Setai (Miami Beach), The Legian & The Club at The Legian (Bali), The Nam Hai (Vietnam), The Strand (Myanmar), The Andaman (Langkawi, Malaysia), The Chedi Club at Tanah Gajah – Ubud (Bali), The Datai (Langkawi, Malaysia), The Chedi – Muscat (Oman), The Chedi - Phuket and The Chedi - Chiang Mai (Thailand). “We choose only to get involved with properties where the owners truly share our vision to create a stunning property that is the best of its kind in the world. We believe the country club and villa estate in Bandar Enstek will be GHM’s most prestigious project to date in Malaysia,” said Hans Jenni, director and president of GHM. The project with an estimated Gross Development Value of RM 1.2 billion, is slated to be a foreign direct investment (FDI) wherein the co developers Davanam Constructions and Ascenteus Holdings will raise the funding through Private Equity and Debt. “Bandar Enstek is a strategic location with the F1 circuit and the KLIA being in the same vicinity. We are also taking advantage of the excellent infrastructure. Our target buyers will be high net worth Individuals drawn mostly from international circles,” said Faizan Khan, Managing Director of Ascenteus Holdings. The residences are designed as ultra low density and high luxury with direct access to sought-after amenities provided by the Country Club. These include equestrian facilities, polo playing grounds, swimming pools, tennis and other sport facilities. The country club has been allocated 20-25 acres with the rest dedicated to the exclusive villas and luxury residences, totaling about 120. “Malaysia and in particular Bandar Enstek is only a short air journey from Asia and it will be a much sought after destination for Asian and International high net worth individuals. We believe this development will redefine international luxury living” said Harish Davanam, Managing Director of Davanam Constructions. Bandar Enstek, is a mega 5116 acres township master developed by TH Properties which is made up of four components, namely residential commercial, institutional and industrial. It is a vibrant development that has attracted world class developers for residential developments, educational institutions, medical facilities and international bio technology companies. 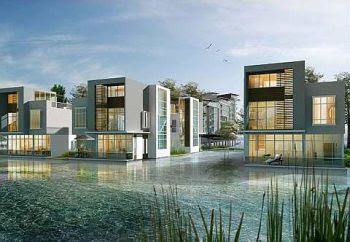 Its strategic location next to KLIA and the Formula 1 circuit makes it one of the most promising townships in Malaysia. BANDAR Enstek aims to be a low-carbon township as it plans for eco-friendly features of solar-powered lighting and rainwater harvesting at its new clusters of resort-like clubhouse, villas and bungalows. "Wherever possible we now want to incorporate natural lighting, recycle building materials and have the buildings powered by renewable energy like solar," TH Properties chief executive officer Zaharuddin Saidon said. On immediate plans for the company, he said, a RM150 million residential project comprising terraced, double-storey linked and semi-detached houses will be launched later in the year. "We'll design these luxury villas with Green Building Index certification in mind," Ascenteus managing director Faizan Khan said. The gross development value of the 80ha project, estimated at RM1.2 billion in Bandar Enstek, Nilai, will be carried out in three phases. About 10ha will be set aside for the country club, while the remaining area will be used for luxury residences. 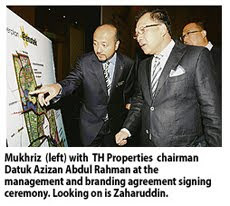 TH Properties Sdn Bhd, the overall developer of Bandar Enstek, had in July 2009, signed an agreement with GHM Ltd to manage the luxury-themed country club. "We plan to have 40 villas and residences in each phase. This development is expected to be complete by 2015," Faizan told reporters at the management and branding agreement signing ceremony between Ascenteus, Davanam Constructions and GHM Ltd.
International Trade and Industry Deputy Minister Datuk Mukhriz Mahathir was present to witness the signing ceremony held in Kuala Lumpur yesterday. 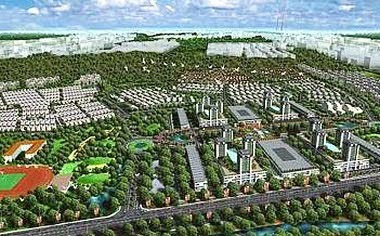 The 2,046.4ha Bandar Enstek township, launched a decade ago, is expected to be fully developed by 2025. To date, 30 per cent of the land is built up and well-populated. KUALA LUMPUR: SUNWAY HOLDINGS BHD has secured a RM21.48 million contract from SUNWAY CITY BHD (SunCity) to build 100 double-storey cluster homes and one Tenaga Nasinal Bhd sub-station. Sunway said on Friday, Feb 12 the completion date is Aug 1, 2011 with the construction period at 18 months. "It is expected to contribute positively to the earnings of the Group for the financial year ending Dec 31, 2010 onwards," it said. Sunway said the project is a related party transaction as Tan Sri Cheah Fook Ling is a director and major shareholder of Sunway and SunCity. Sunway said it had obtained a shareholders’ mandate for recurrent related party transactions (RRPT) of a revenue or trading nature at its AGM on Dec 10, 2008. "The RRPT mandate inter alia, covers the provision of construction works by SunCon or its subsidiaries to SunCity and its subsidiaries," it said.